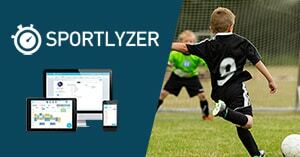 With Sportlyzer, you can automate new members registrations by using our online registration form. Firstly, make sure you are in the Manager view and then proceed to the Preferences tab. Find the "Membership registration form settings" on the right column and click on "Edit application settings". Integrate our interactive website widget to your website. Sharing the club calendar including workouts and competitions is among the key duties of every sports club. Sportlyzer offers a widget, which you can embed into your official website to share workouts and other events with your club members and everybody else who visits your homepage. All the website widgets are available by clicking on the Preferences icon on the header and then choosing Website widgets below. The club calendar widget comes in two different sizes. One small calendar, which fits perfectly as a widget on a sidebar or side navigation and a big calendar, which is meant to be the main content of an internet site. Both calendars still show the same data - Group workouts, events, and competitions. Individual workouts are not part of the club calendar, but they are sent automatically via the weekly training schedule and appear in the training diary of the specific athlete. One difference between the two calendars is, that the big one is able to present data in 4 different modes: List, Day, Week and Month. The small calendar always comes in 1 mode - List. In order to share workouts on your public club homepage, the training group has to be visible in the calendar widget. Groups, who aren't marked visible are not shown in the calendar widget. If you want the training plan of a specific group to be visible through the calendar widget, set the group as visible in the group profile. Events and competitions have a slightly different rule than training groups. Since events and competitions are not group specific and may or may not include one or many groups, you have to make an event or competition public from the event settings. If you want an event or a competition to be visible through the calendar widget, set it to public.